They light up the room even before you light them! 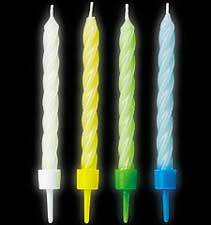 These luminous candles will lend an extra touch of fun to any birthday celebration. Assorted colors: White, Yellow, Green, Blue.